There’s a wide variety of insurance a business needs. Not every business may need every kind, but it pays to deeply consider what your company needs, before disaster strikes. Look at the list below and see what may apply to you. General liability — Even for home-based companies, liability insurance tops the list. The policy both defends against and covers damages for alleged bodily injury or property damage to a third party by you, your employees, or your products or services. Property — This is for your building or business personal property of office equipment, computers, inventory or tools. Consider a policy to protect against fire, vandalism, theft and smoke damage. Think about interruption/loss of earnings insurance as part of the policy to protect earnings if your business is unable to operate. 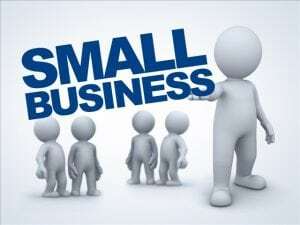 Business owner’s policy — This packages all required coverage a business owner would need, including business interruption, property, vehicle, liability and crime insurance. You have a say in what you want to cover in a BOP, which often costs less money as a package than if coverage were bought individually. Commercial auto — Protect your firm’s vehicles that carry employees, products or equipment. You can insure work cars, SUVs, vans and trucks from damage and collisions. If employees drive their own cars on company business, you should have non-owned auto liability policies to protect your company in case your employee doesn’t have enough coverage. Non-owned auto insurance can be part of your BOP package. Workers’ compensation — This provides insurance to employees who are injured on the job, and it includes wage replacement and medical benefits. Employees therefore forfeit the right to sue the employer. This then protects you and your firm from legal complications. State laws vary, but they typically require workers’ comp if you have W-2 employees. Penalties for noncompliance can be very stiff. Professional liability — Also known as errors and omissions insurance, this coverage in the form of defense and damages is provided for failure to render or improperly rendered professional services. This insurance is applicable for such professionals as lawyers, accountants, consultants, notaries, real estate agents, insurance agents, hair salon owners and technology providers. Directors and officers — This coverage protects against actions by directors and officers that affect the profitability or operations of your company. Data breach — If you store sensitive or nonpublic information about employees or clients on your computers and servers or as paper files, you’re responsible for protecting that information. For electronic or paper breaches, the policy protects against loss. Life Insurance — This provides money to beneficiaries in the event of an individual’s death. You pay a premium in exchange for benefits. This insurance gives peace of mind, allowing you to know that your family/friends will not be burdened financially when you die. Although technically this is not business insurance, if you are essential to a business you own, you’ll want this to protect your family. You as a business owner have been exposed to risks from the day you opened the company. One lawsuit or catastrophic event could be enough to wipe out your firm before it even has a chance to get going. Fortunately, you have access to a wide range of insurance to protect your company against danger.